A 3-day MICE FAM Trip to the Karlovy Vary Region (famous for its spas) and North-West Bohemia (the Ustecky Region, with its capital Usti nad Labem) was organized by the local Convention bureaus, with their directors Ms. Karolina Nozickova (Karlovy Vary Convention Bureau) and Ms. Ing. Radana Kubickova (North-West Bohemia Convention Bureau). The objective of the MICE FAM Trip was to promote their MICE hotels, venues and infrastructures, and interesting local activities that event organizers can add to their conference, teambuilding event or incentive trip. Our challenging program started in the city of Marianske Lazne in the afternoon of Day 1. We checked-in at the Hotel Danubius Health Spa Resort – Hotel Centrální Lázně. The advantage of this four-star hotel is its direct connection to the well known Old Spa (Staré Lázně), so in fact you don’t need to walk out of the hotel when you wish to have spa procedures. 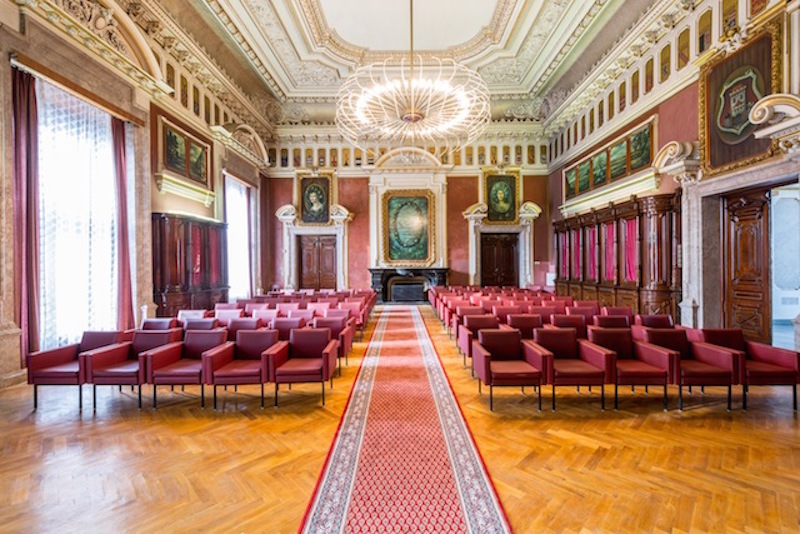 A special corridor also connects the Old Spa with the five-star hotel, Nové Lázně, and a meetings venue Casino. Casino is only its name, as it has nothing to do with a gambling casino – it is an authentic and professional venue for conferences. The Casino is suitable for about 420 people. Our group got a taste of an oxygen therapy (a 20-minutes procedure), and then – with renewed energy – we briskly ran out to see the city. The beautifully situated “singing fountain,” located on the Colonnade overlooking the city, gave us a lovely performance of Chorus of Hebrew Slaves “Va, pensiero” from the famous Verdi opera, Nabucco. After a lovely dinner with such local specialities as potato pancakes and wild boar meat, we went to try the Rimske Lazne, which includes various saunas and pools, and all in the original classical architecture of its time. Though Marianske Lazne has lost an important number of Russian visitors over the past few years, they have been replaced by Czechs and Germans. On Day 2 we moved to Karlovy Vary, the largest and most famous city in this region, appropriately called “spa triangle.” The city i known for its numerous spas, healing mineral water sources and a very long tradition of healing and medical tourism. Here we were first shown the multi-centre KV Arena, the largest venue in the region that is suitable for holding significantly diverse events. 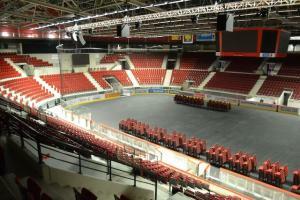 The largest part of the auditorium can be filled by 5.000 people (the maximum capacity is approx. 7.500). The next stop in our busy and interesting program was the Moser Glass Factory, where the tradition of glass production dates back to 1857. We visited the hot works where we had the great experience of seeing the hand made process that goes into the creation of crystal glass, including colored crystal glass products. An excursion to the Moser Glass factory can easily be added to your conference program or incentive trip, and helps to know more about the local handcraft. We visited Spa Hotel Thermal, which is a four-star hotel with congress capacities: its congress centre offers more than 2.500 seats. The hotel is well known for its annual summer Karlovy Vary International Film Festival, where its unique atmosphere mixes movie fans with international movie stars. 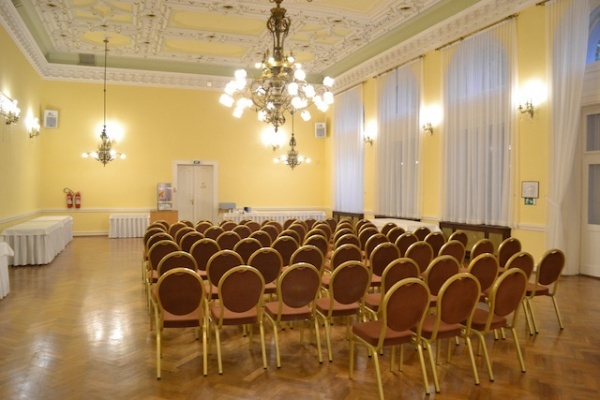 Perhaps the most impressive building in Karlovy Vary is the Grandhotel Pupp 5 star Superior that offers a meetings venue with a capacity of about 800 people, and 228 rooms. You may recall the luxurious hotel scenes from the movie with James Bond, Casino Royale. It was filmed here (the interiors of Grandhotel Pupp representing a casino in Montenegro). You should definitely try the delicious chocolate cake (Dort Pupp) in the hotel’s Café. Or for the more daring, the hotel’s bar downstairs is the place to try Becherovka, a local alcoholic drink made from plants (a top secret). While in Karlovy Vary you shouldn’t miss a stroll along the old classical Colonnade where one can sip from some 12 different mineral sources from the underground springs. Each of them is good for different illnesses and all of them aid in boosting immunity. Walking next to the Tepla River with a cup (made from local porcelain) of mineral water, and just breathing the peace of this elegant and architectural city surrounded by fresh green forests can be very productive and inspirational to you. But it is time now to move to our next destination with our autocar, and in about a hour to be in the city of Zatec, where we will have a great time in Chram chmele a piva (Hop and Beer Temple). In Zatec, we are in the North-West Bohemia Region. As we crossed the border between these two neighbouring regions of Czechia, Ms. Kubickova took the microphone to speak to us about her territory. The capital city of the region is Usti nad Labem, an industrial centre (chemical industry), but still very green and pristine looking, and environmentally cleaner than 20 years ago. Hotel Vetruse, a four-star hotel sitting on a top of a peak with a great view over the splendid surrounding landscape, has two strong points: one is the hotel’s excellent chef, Lukas Uher, who has received numerous awards for the quality of his cuisine. The second strong point of Hotel Vetruse is the highest comfort of it’s mattresses and beds, which can be especially appreciated by business travellers. It seems that they know here what they are doing. The hotel Vetruse is used by members of the Czechia government for their various meetings, but is just as suitable for weddings and other celebrations. I don’t need to tell you that the dinner we had was really of quality – nothing to object even for the most demanding of people like me. To go down to the city, you can use a local funicular leading you directly to the shopping centre Forum. Take care that your group doesn’t lose the “in house” theme of you event while going on a shopping spree there. On Day 3 we move from Usti nad Labem toward the city of Most, and we can admire the landscape. Instead of the past industrial background (mines) that looked like an appropriate location for a documentary film about the first man on the Moon for a Hollywood production, now, the plans are to have in this place the largest water lake in Central Europe. The Autodrom Most and Polygon Most are easily accessible from Germany, Prague, Karlovy Vary, Dresden and from Poland. It offers activities of motor sports and is great for corporate and family events. The Autodrom Most currently organizes domestic and international races of motorcycles, travel vehicles, trucks, endurance races and sprint races. Czech Truck Prix in September is the biggest, and if you are a fan of trucks, you should not miss it. The Polygon Most offers safe driving courses as well, sports driving courses in racing vehicles under the supervision of experienced professionals. Our group had a lot of fun with driving activities. The Chateau Cerveny Hradek was the last place that our group visited. This romantic venue has very beautiful rooms and is very suitable for weddings, etc. 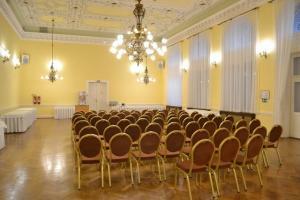 The spectacular Hall has a capacity for 200 people and the accommodation facilities offer 55 beds. The venue is great for important VIP meetings, family events, etc. The FAM Trip helped everybody to know more about MICE facilities in these two important regions in Czechia, and the whole group had good time and enjoyed the activities and local food as well as the MICE infrastructures. We must say that Ms. Nozickova and Ms. Kubickova did a marvelous job with the organization of this MICE FAM trip, and we wish them the best in achieving their goals of increasing MICE groups and events in both regions. TRY SLOVAKIA – a special on Slovakia is coming!